Hussain Sagar is a once beautiful lake joining the twin cities of Hyderabad and Secunderabad in India. It was constructed in 1562 AD to meet irrigation needs. Later on it was also used as a drinking water source. Now it serves as source of recreation for the citizens of the twin cities. 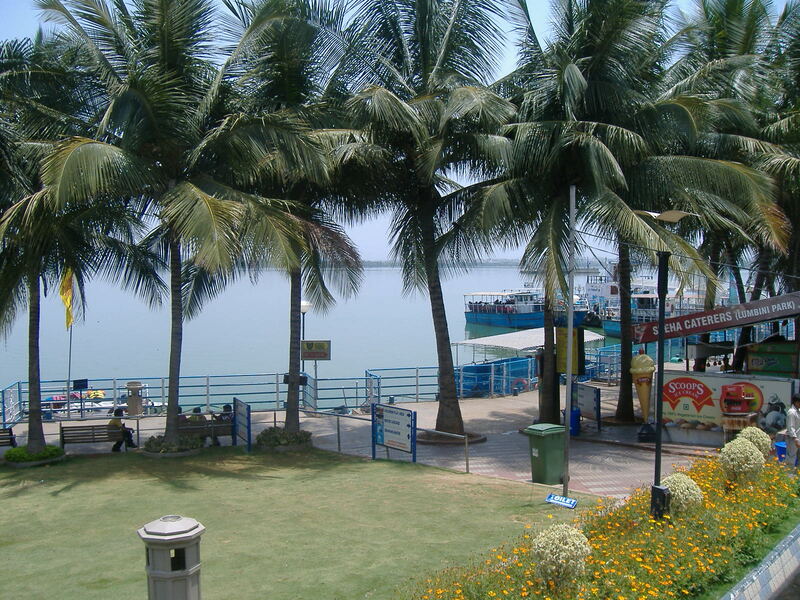 With many parks and recreational spots, and boating facilities, Hussain Sagar attracts thousands of tourists and residents every day. The lake is now severely polluted from continued discharge of untreated domestic sewage and toxic industrial chemicals. Visitors to parks around the lake complain a foul smell. The government has undertaken the Buddha Purnima Project to take care of the lake and its surroundings. According to the project authority lack of funding is one of the obstacles in lake restoration. It is quite likely that visits to the area would increase and the recreational experience would improve if the lake was cleaned up. Improvements in water quality would also open the door to other recreational activities. This begs the question whether the benefits of cleaning up the lake would outweigh the costs associated with reducing pollution. Our research, funded by the South Asian Network for Development and Environmental Economics (SANDEE), examined what visitors would pay to reduce the pollution. We solicited the views of 800 residents of these twin cities: unsurprisingly, the results suggest that citizens are aware of the need for improvements in and around the lake. But perhaps more surprisingly, they are willing to pay for these necessary improvements. We found that if the water quality of the lake improved, visitors would like to visit the lake more often. Even with a 200% hike in entry fee. Currently the entry fee is INR 10 for adults and INR 5 for children. The respondents said they’d pay up to INR 30, if the lake quality improved. Our study recommends doubling the entry fee to INR 20 for adults. We keep the price for children un-changed. At an entry fee of INR 20 per adult visitors, authorities can earn revenues of between INR 22 and 89 million depending on projected visitor numbers. This increase in revenues could be used for investments that would improve the quality of the lake. This represents an approximately 80% increase in revenues from what is currently earned with the INR 10 entry fee. Given the recreational facilities in and around the lake, this additional source of income could be used by the authorities to make investments in lake conservation and recreation. This is a thought provoking article. Well laid out ideas backed by a solid data. Recently I had the privilege of guiding some of my students for their dissertation work. They studied on the effects (and environmental impact) of tourism in Thiruvananthapuram. They found out that the locals (apart from small industries and hotels nearby) pollute the most. This was attributed mainly to the fact that there is an absence of waste disposal, waste collection and waste treatment mechanism in the city. As far as a park is concerned we can raise revenue, but when it comes to beaches (which are a large common property resource) It is hard to apply the same. So a major role lies in the hands of town planners and government, not to mention the people. Fines can be imposed for littering. But what can be applied from the analysis is more recreational activities (which can be made paid services) suited to the location can be introduced and the revenue received can be used for proper waste management.